This gorgeous piece of approximately 1.5 inch wide green sea glass was hand picked from the beaches of Northern Ocean County NJ, the Jersey Shore! 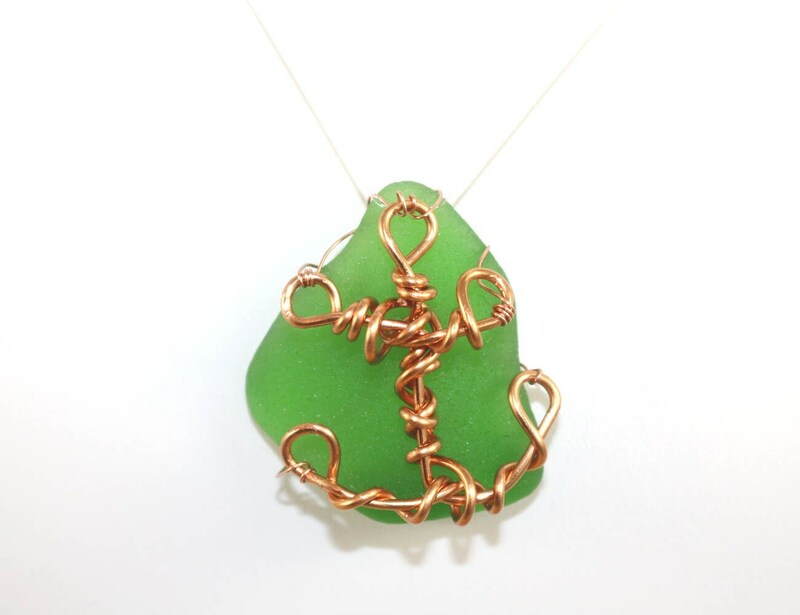 I created the copper plated wire anchor by hand and attached it to the sea glass to make wearable beach art! Keep the sea with you, no matter where you go! This piece of REAL green sea glass was softened by the ocean and the sand. 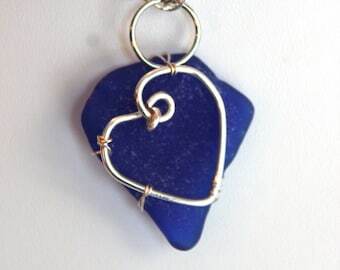 I find the sea glass while walking the beach on the Jersey Shore doing my custom beach writings. 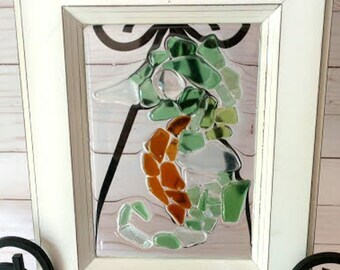 Sea glass is getting more and more scarce as we become more environmentally aware by not littering and by recycling. Claim your piece today. This comes with an approximately 18 inch clear stretch cord necklace. Due to it's nature & size, it is NOT recommended for children.